As a matter of fact, UHF Anti-Metal Asset RFID Tag has displayed its talent, which is especially targeted for the items containing metal or liquid. To be specific, UHF RFID asset tracking Tag works at the operating frequency of 860 MHz ~960 MHz, with the extended reading range up to 1 ~ 1.5m to a large extent. Based on Gen 2 RFID technology, UHF RFID Anti-Metal Tag can operate well in harsh conditions, including resist against high temperature up to 80 Degrees Celsius. Besides, some specific barcodes can be pasted on the UHF RFID Anti-Metal Tag for identification from the appearance. 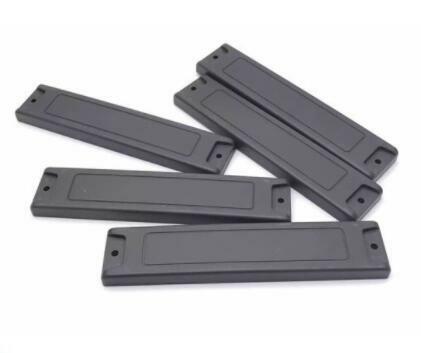 Previously, non-metal tag will have a bad influence in the aspect of reading range on account of mounted on the Metal surfaces, which is caused by interference between them. However, compared with non-metal tag, UHF asset tracking Tag restrains the phenomenon mentioned above and has great improvement in the application of metal tracking. In addition, by using 3M glue or screw, UHF Anti-Metal Asset RFID Tag can be easily and stably affixed to any metal surface, such as on metal pallets, engine parts and metal containers, which increases the reliability and durability.